On December 14th the FCC recently passed a vote essentially ending net neutrality. What this means for the future of the internet no one really knows quite yet but it’s been long known that a separate agenda to end third party streaming sites has been in the rear view mirror of the corporate world. With piracy laws changing, technology, bitcoin growing and personal internet privacy dwindling for internet users, especially those who use Kodi, are now seeking out reliable VPN providers. Listed below are the VPN’s we’ve tested and used on Kodi. This list will potentially change and grow as more VPN providers become available so be sure to bookmark us and visit this reference point in the future. There are free VPN’s available for Kodi but we recommend premium providers, in most scenarios you’ll have more issues with free then if you were to spend a few dollars a month. The old saying “You get what you pay for” is abundantly true with VPN’s. How can you pay? Lots of users prefer the anonymity of Bitcoin and other crypto-currencies so it's important to have Smart Bitcoin Investments when purchasing a VPN. Anyone could spend hours going into great technical analysis on these Kodi VPN providers but we’ve figured the five points above will provide an easy starting point for the average Kodi user. ExpressVPN has quickly gained popularity thanks to its impressive speeds and industry best customer service. 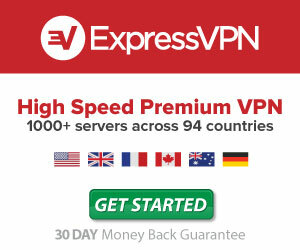 The ExpressVPN system is easy to use and provides one of the few 30-day money back guarantee in the industry. If you are having a tough time finding a reliable VPN provider for Kodi use, give them a 30-day test drive. Along with a 30-day guarantee, ExpressVPN is (in our opinion) the fastest VPN connection as well as one of the most secure options when it comes to streaming content in Kodi. The encryption used is second to none and while there have been some concerns of logs in the past ExpressVPN has publicly stated they only use 3rd party analytics tools like Google Analytics as well as Zendesk for support tickets. None of the information on how you use the VPN is revealed, logged or stored for use by 3rd parties. ExpressVPN for Kodi takes over in our number one spot thanks in large part to it's ease of use, customer service and performance. While one of the more expensive VPN's on a month to month basis it still sits at a reasonable price when committing longer term and in all other tests it has provided the fastest speeds, best performance and most reliable solution to get around GEO blocks. They currently provide 94 countries around the world which is a big draw if you're looking for reliable speeds but also to have the ability to watch content in other countries. Having run multiple trials with ExpressVPN it has provided the smoothest playback for both Kodi and Netflix. Installation is a breeze as it comes with downloadable and easy to use installation software for Windows, Mac, Linux, Android, iOS, FireOS for your FireTV, Routers and can even be integrated into some of your favorite browsers (Chrome, Firefox, Safari). One of our favorite features includes the ability to have three simultaneous connections (meaning multiple devices) and it's allowance of P2P streaming which is a popular feature of a handful of Kodi addons. Flying under the radar a little is NordVPN, a well-subscribed VPN but often not mentioned when users ask for what to use with Kodi. Since our first use of it it has improved dramatically both in terms of speed and options but there were a few concerns we came across as we dug in. If you're looking for a VPN that also provides GEO bypass for Netflix, as of now NordVPN is still working. Having originally posted NordVPN at rank #5 we've been steadily appy with their improvments in performance, customer service and just about everything else. Add to the fact they don't belong in one of the peering nations and you've got a recipe for great success...Oh and did we mention they're now the cheapest (that's reliable) VPN on this market at just $2.75 a month? Allows up to 6 simultaneous connections, if you have a lot of Kodi uses in your home this is perfect. 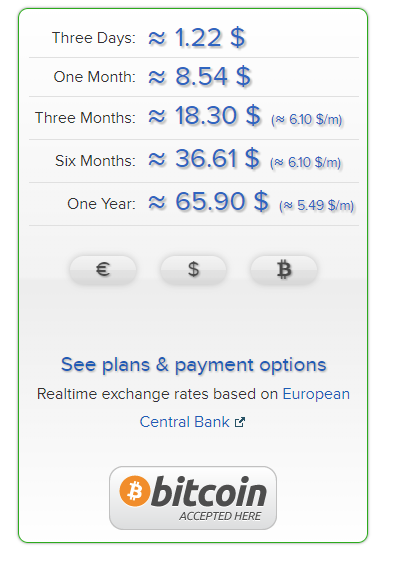 NordVPN is reasonably priced. While you'll find yourself paying more monthly then others in the list, if you sign up for a two year plan you'll be paying a measly $3.29 a month for one of the better VPN providers on this list. 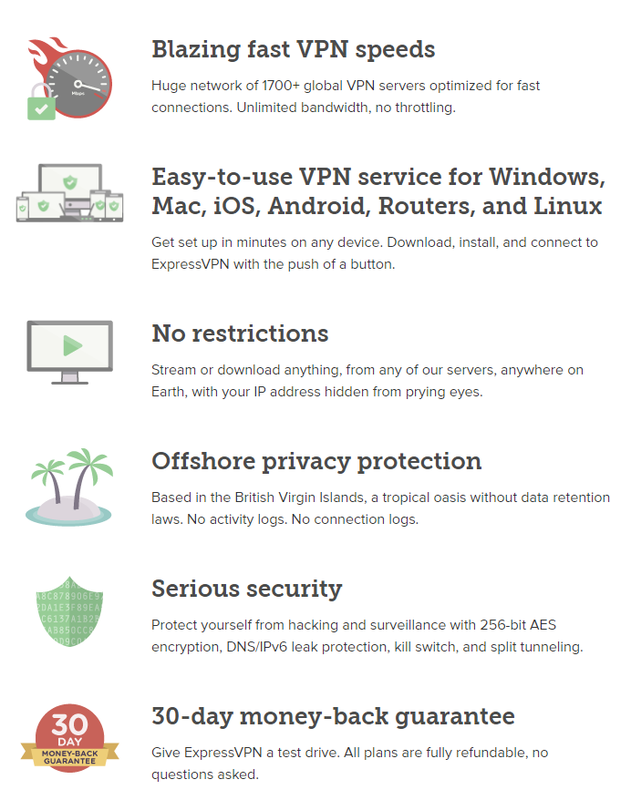 Similar to ExpressVPN, NordVPN provides a 30 day money back guarantee. Perhaps one of the most important is NordVPN is based in Panama, meaning no government spying. Strict no logs policy, your data is private and not being tracked or monitored. Automatic Kill Switch, if your VPN gets disconnected your internet traffic will continue to be protected. DNS leak protection that ensures your data is protected at all times. Using Chrome or Firefox? You can secure your browsing with the proxy extensions built by NordVPn. 6 Devices can connect simultaneously. Nord is a robust option, really the only thing that had us choosing ExpressVPN or Nord was our speed tests. Our only complaint with Nord was a few users complaining that they couldn't stream content through premium sources like Real Debrid. With iOS and Android apps available there still isn't an option for popular streaming devices like the Amazon Fire TV although if you've side-loaded apps you should have no issue doing the same with NordVPN. If you've scoured any website related to third party streaming and Kodi in the past couple years you've undoubtedly heard of IPVanish. Part of the reason you see it so widely promoted is the companies incredible commission rates and programs for third party advertisers (such as ourselves). When we sought out a few months back to track down the best VPN's for Kodi we knew IPVanish had to be involved in the testing to ensure it was a capable VPN and not just promoted because of it's incredible marketing ability. It's affordable. IPVanish boasts some of the best prices for a capable VPN in the Kodi space. It's secure. Like any good VPN it provides strong OpenVPN encryption. It's fast. IN our tests it wasn't as fast as ExpressVPN but it's still one of the quickest VPN's we've tried for streaming. It's easy to setup. Truth be told this is what we found to separate IPVanish from the rest of the pack and might be why you choose to use it instead of some of the other options. IPVanish has a plethora of devices and apps pre-made for easy installation. Take the FireTV for example, IPVanish was one of the first (if not the first) companies to create a stand alone app for FireOS and the Amazon Fire TV's. Instead of side loading, you can now install straight from the FireTV itself (please note it only works on Fire TV's and Fire TV Sticks Gen2 and up). IPVanish comes in a little bit cheaper then ExpressVPN but is a few dollars higher than some of the others on our Kodi VPN list. Still, when it comes to pricing you need to ask yourself how much your time is worth. With IPVanish you'll be up and running quicker then any other provider on this list, especially if you're using the Fire TV as your Kodi streaming device. IPVanish is fully equipped with a wealth of options for any user. Without a doubt our favorite feature is the wide array of devices it's capable of running on. If you're a Amazon Fire TV owner (or Fire Stick gen 2+) then IPVanish's already made app in the Amazon app store will save you a few hours on setting up a VPN for your Kodi streaming. Private Internet Access, in our opinion, was hard to beat a few years back and our choice for the best Kodi VPN available when VPN's we're an after thought in the Kodi streaming community. Today however with so many more competitors on the market we started to see PIA's grip loosen as the preferred choice for a Kodi VPN provider. A lot had to do with the slow ability to adapt and the seemingly unhappy amount of current PIA subscribers who were starting to see extremely long wait times to problems they were having. That could be in large part to the overwhelming growth the company seen because it was arguably the most recommended VPN to newcomers thanks to it's low price point and the fact that it just works for what you need a VPN to do. Today PIA is still more then capable of handling your VPN needs for Kodi. While it may not provide as many app installs or platforms as IPVanish or the same speeds as ExpressVPN it is still the cheapest Kodi VPN on the market and continues to provide an extremely private and secure option. The service comes fully equipped with multiple encryption options, servers around the world and decent speeds for streaming. You'll be hard pressed to find a better priced option for a VPN provider. Of course this massive discount only applies on a two year plan, still having used PIA for the better part of our Kodi streaming we had no complaints during that time until we made the switch to ExpressVPN. Private Internet Access has over 3000 servers currently situated in 29 countries. For most users this is more then enough but it seems to be falling behind to other VPN providers in this regards. Still at just $2.91 a month you'll be more then happy with what they have to offer. Also, like most VPN providers, PIA comes with a 7 day money back guarantee. A Kill switch (if PIA disconnects it will stop streaming/internet). This allows complete protection. The VPN provider is popular for a reason and while our tests the speeds didn't quite hit ExpressVPN levels they were still more then proficient to run and stream content through Kodi. While it doesn't come with built in apps for things like the Fire TV, it is still fully capable to be sideloaded onto select Android devices similar to almost all other VPN's who provide an Android app. Up to 3 Simultaneous connections. Unlike the majority of other VPN providers on this list, AirVPN is a VPN provider located outside of the United States. Currently situated in Italy it was setup to provide an unrivaled option for users privacy. It provides solid speeds and one of the more robust options for privacy options. In our experience of using AirVPN it has provided us with perhaps one of the most secure and stable VPN setups we have used. Similar to most our other VPN providers on this list it is capable to be installed on multiple devices (Windows, Linux, Mac, Android, iOS, Routers etc) but will require some technical knowledge on how to side-load if you want to use it on devices like the Amazon FireTV. AirVPN provides reasonable pricing but is still on the upper end of cost for VPN providers on this list. Like most options, committing to a longer plan (yearly) you'll save upwards of $3 a month. If you're concerned on finding the right provider, feel free to sign up for the three day trial which will cost you just under $1.25 USD. 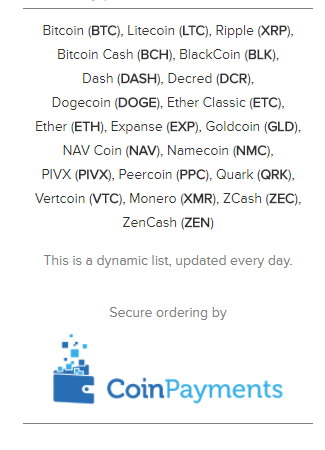 With multiple payment options, AirVPN allows Paypal, Credit but more impressive is their long line of current cryptocurrencies that they currently accept payment in. While AirVPN doesn't have as many countries as some of our other providers on this list it is one of the few that is based outside of the U.S. Just 15 countries located in Europe, Canada, US, Hong Kong to name a few, while this isn't a lot it does cover most of the popular regions out there. It currently only runs on the OpenVPN protocol, which shouldn't matter to much for most users as it is generally considered to be the best VPN protocol available and one that is most used on major platforms and networks. Users can connect up to 3 simultaneous connections which is perfect for the small home or single apartment. If you have a large family all utilizing the VPN connection you may need to look into a VPN provider with more connections. AirVPN provides are secure, no log and private VPN option. It's fast, stable and being able to pay with cryptocurrencies is a plus for anyone concerned about staying anonymous. Being in Italy doesn't provide it the most convenient server location for a lot of users in North America (which might effect speeds) and there isn't a lot to choose from in regards to server locations but it is still a capable VPN for streaming content in Kodi as well as bypassing Geo blocks typically associated with services like Netflix. We feel the VPN provider is one of the most robust options in regards to security but it lacks a lot of ease of use for the average user. If you're technically capable this shouldn't be a problem and the support and documentation is easy to follow and will answer most questions. With that said, AirVPN is geared towards those with a stronger tech background and not your average Kodi user. Based in Canada, Windscribe arrived on the scene in 2016 and is one of the few VPN providers that comes with a FREE VPN for use with Kodi. We will always suggest choosing a premium option when using VPN's (especially for Kodi), everything about the service will just be better. Windscribe does come with Free and premium plans and we've included it into this list not just because it's the best free VPN for Kodi but also because their premium service is a capable option for anyone looking to stream content in their Kodi box with a VPN. Committed to data protection and encryption. Easy to use and install thanks to it's modern app interface. We've seen a lot of Kodi users looking for the a free VPN. You won't get the best service through Free plans but in our tests Windscribe provides the best option if your dead set on using a free option. 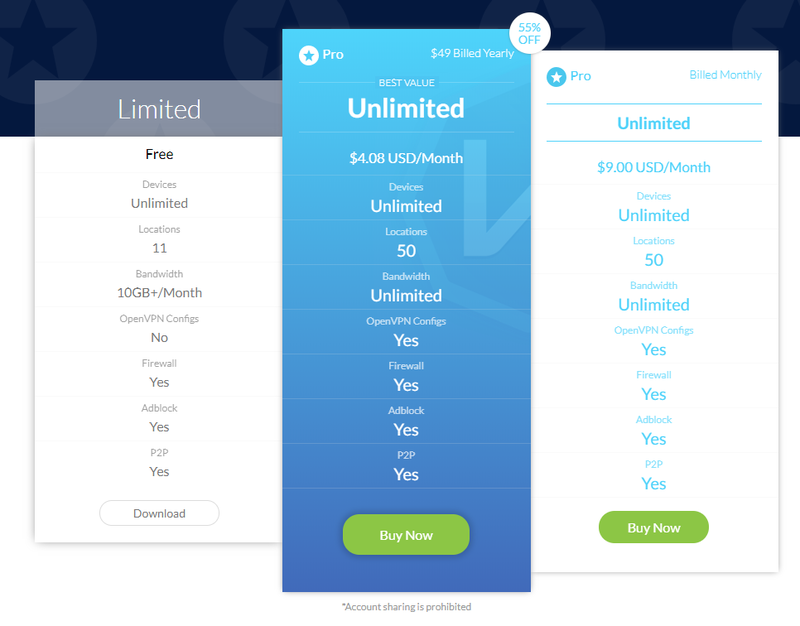 No one (we've seen) provides as much for free as Windscribe, you get unlimited devices with 11 locations but more importantly up to 10GB a month for streaming. For most Kodi (or Netflix) streamers this won't provide a lot of wiggle room but it is a lot more then who we had ranked second which only provides 500mb for their free option. If you try the free option and like Windscribes service then you can easily upgrade to a premium option through your account manager. Windscribe pricing is straight forward for their premium plans. They have a free plan or you can choose a monthly/annual subscription. The annual subscription will save you upwards of $5.00 USD a month but feel free to give the monthly plan a spin to see if it meets your needs. Windscribe refunds also have a short turn around meaning using the monthly as a trial might be a more viable solution. Windscribe comes with over 50 server locations and includes the usual suspects. As a newcomer to the VPN scene they have added over 30 locations in two years and now provide a good option for anyone looking for VPN spots no matter where you live or are travelling. The free option only allows 11 locations but allows connection to the most highly used (US, UK, Canada, Hong Kong etc.). If you're an avid Netflix user along with streaming content from Kodi, Windscribe has what they dub "Windflix" which opens up US Netflix no matter where you are in the world. Simply connect to it and you'll be able to stream content...one of the few VPN providers these days that provide a work around for this. Security and safety measures are second to none. Windscribe IP addresses are typically divided and not permanently assigned to the end user which makes it that much more difficult for the user to be identified. OpenVPN is the only protocol offered, but as been mentioned before it is the safest and fastest option currently on the market today for Kodi and other VPN use. Support is done through a ticketed based system so while they tend to reply in a reasonable fashion it will take a bit longer then other VPN providers to potentially follow up with your problem. 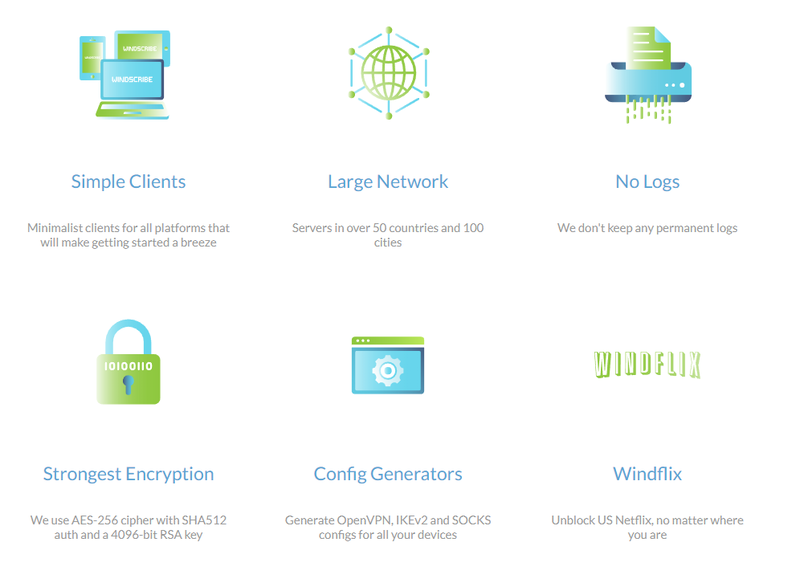 Windscribe provides comprehensive protection and is one of the few VPN providers still capable of providing access to US Netflix thanks to it's GEO block work around with Windflex. While the support isn't as fast as others it's the only flaw in their current service. The combination of devices, speed and security helps provide a seamless and secure VPN experience for Kodi and one, should you choose, can be free for up to 10GB. Give Windscribe a go below. Another popular VPN on the market comes from TorGuard, a capable and secure VPN for Kodi that is well respected and has a large user base of loyal subscribers. This VPN comes equipped with over 50 countries, unlimited speeds and bandwidth and plenty of other secure options you'd expect from a top flight VPN provider. In addition to providing a secure service, premium subscribers get plenty of options for an extremely affordable price. Fast connections, for our tests it provided reliable speeds enough so that streaming through third party addons didn't buffer constantly. Customer Care. Hands down TorGuard has provided the best customer care from all the VPN providers on this list thus far. Ask questions at anytime and expect to receive a response quickly. Over 50 countries to choose from. For any Kodi user this will be more then sufficient. TorGuard is another robust VPN provider that will be fully capable of handling your Kodi streaming. What separates this from some of the others is the amazing customer support we've seen. The live chat feature on their website can have some of your questions answered within minutes. 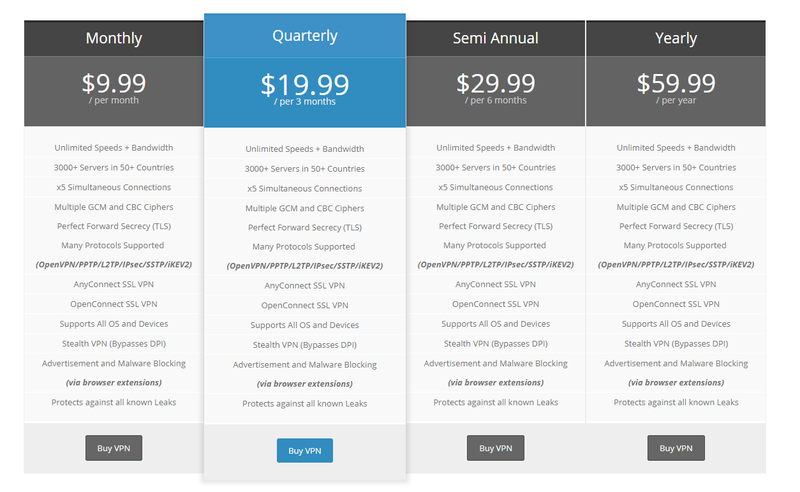 TorGuard provides pricing with a number of options. For the full VPN suite (which most Kodi users will want) you have options of monthly, quarterly, semi-annual and annually with savings based on term of commitment. An annual plan will cost just under $5 dollars a month which is very reasonable considering the quality of VPN and incredible customer service. All of TorGuards plans come with the same services, the only difference between them is they offer discounts for customers who commit to longer terms. Payment can also be made in a variety of ways from credit card, PayPal, Paymentwall, Bitcoin, Litecoin and other crypto currencies as well as gift cards. TorGuard also provides a variety of other additions and addons, such as a dedicated IP address (which may be required to use with some Kodi addons/services). When factoring in the cost of the VPN and a dedicated IP it can be on the more expensive side monthly (or compared to others) but with the annual plan and when you factor in the quality of service and customer support it may be a small price to pay. With over 50 countries to choose from there is plenty of options to help unblock most things on the internet you might need with Kodi. While streaming doesn't typically require GEO work arounds you may still want to stream from a location closest to you or if you're needing to watch sports blacked out TorGuard will have a location for a work around to your problem. 5 simultaneous connections are included in the purchase price and more can be added for a cost at just $3.00 more a month. Multiple protocols are supported, we recommend OpenVPN for most but others may need something else. TorGuard provides a formidable option for users looking for a Kodi VPN. Signing up for the service provides the largest amount of options to choose from and ultimately may provide you with everything you need if you're looking for more then what most VPN's provide. Customization is the key here for TorGuard but while shorter term commitments may end up costing more then some of the others on this list it still provides strong encryption with extremely respectable speeds. Add to the fact TorGuard has one of the largest locations to choose from and is complimented by the best customer support we've dealt with it is more then capable to handle your VPN needs. A VPN (or Virtual Private Network) has gained a lot of notice over the last few years. As more internet users become concerned about the risk of their privacy on the internet the word VPN has come up by suggesting that it will allow them to take back their internet privacy. While a VPN may not provide 100% anonymity to everything we do online, it does provide the most secure way for you to browse and stream the web secretly. Hide our streaming and browsing activity from our ISP (preventing them from providing it to the government). Bypass certain geo censor locks. By connecting to different VPN locations we can unlock content that may typically be unavailable to use in our country, state, or city. Protect you on public WiFi networks. Stream and download content from torrent/P2P sites in Kodi anonymously and safely. Yes and No. This really comes down to how you’re currently using Kodi. Yes, we would recommend the use of a VPN for Kodi if you use third-party plugins to stream content on the web. Chances are if you’re a regular Kodi user you’ve used third-party add-ons like Exodus, Covenant etc to stream content online. Copyright/streaming laws on this vary from country to country but are quickly changing. In the past streaming content wasn’t considered illegal. The law was simple in explaining the fact. You were streaming and not saving a physical copy of the content (your movie or TV show) to your device. While streaming the content is never saved to your hardware device and from most third party sites you won't be sharing (unless you’re using a P2P/Torrent addon in Kodi). Today, however, governments and copyright holders are changing the law to rule that it is just as illegal to stream pirated movies/TV Shows as it is to download them. Other reasons why you’ll want a VPN for Kodi is if you’re using the media center to stream geo-sensitive content. For example, suppose your favorite sports team has regional blackouts and you pay legitimately for a premium sports package but can’t watch in-market games? A VPN here goes a long way and can help eliminate these blackouts allowing you to watch your favorite team(s) without blackout restrictions. You won’t need a VPN for Kodi if you’re using it primarily to stream local content. If you’ve got your own home library of movies and TV shows and never use third-party add-ons you don’t need to invest in a VPN for Kodi. While you may not feel you need a VPN streaming at home content, we are still big advocates for everyone using one moving forward…not just for use with Kodi. By using a premium VPN service you can use it to browse the web safely and securely and prevent your Internet Service Provider from providing any data to authorities.